Posted on August 15, 2017 at 12:30 pm. When photographing the Rapin’s home, the first order of business was to be invited to relax in their front sunroom space. The Rapins’ beautiful sunroom was photographed as part of Lifestyle Home Products’ 150th Great Canadian Sunroom Celebration. 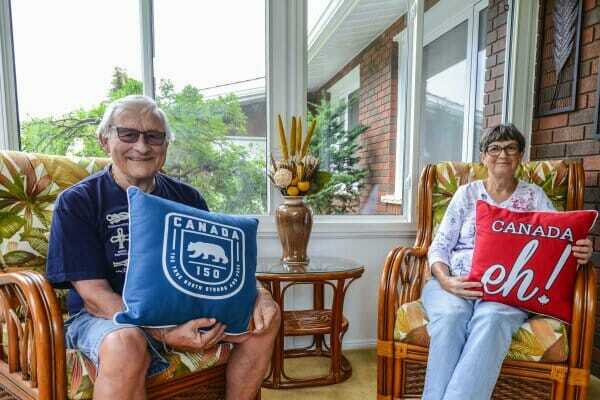 Below, Eckhart and Doris Rapin hold up Canada pillows. When Doris and Eckhart Rapin thought about a social place to enjoy a cup of coffee, they envisioned sitting at the front of their property. The couple already had a sunroom enclosure on the back of their spacious home. 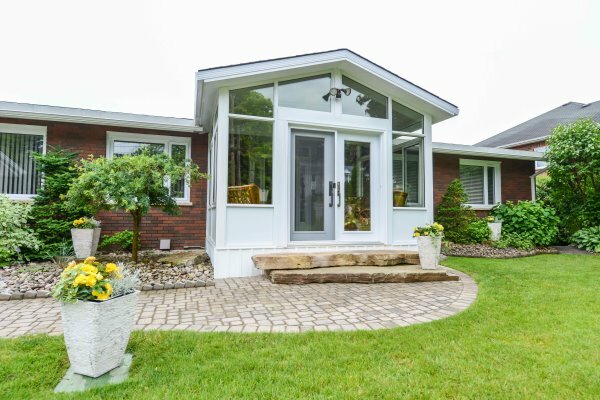 However, their sunroom entry would create a new, welcoming space for visitors and friends. 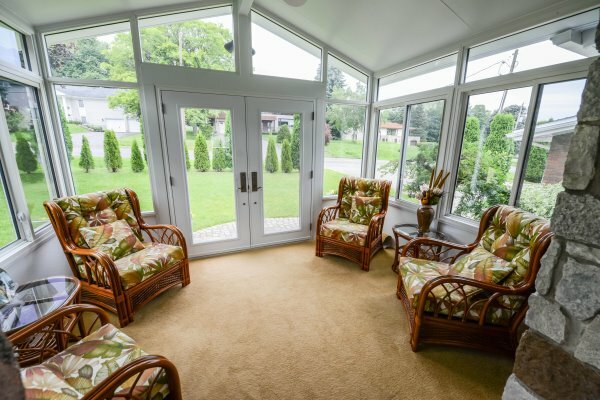 Features of the Lifestyle sunroom include high performance Low E glass to reduce the sun’s heat gain in summer months and increase the R-value in winter months. The insulation value is suited for harsh Canadian climates. Lifestyle’s walls of glass create optimum panoramic views versus a conventional stick built renovation with spans of wall and smaller windows. Contact Lifestyle Home Products for a free quote at 1-800-465-0593 or LifestyleHomeProducts.ca. Lifestyle makes 100% Canadian sunrooms, windows and doors in its 150,000-sq.-ft. facility at 944 Crawford Drive in Peterborough. Lifestyle also supplies quality metal roofing shingles and outdoor awnings.